R2SHPn is end of life (EOL). MikroTik recommends R52HnD for direct replacement. 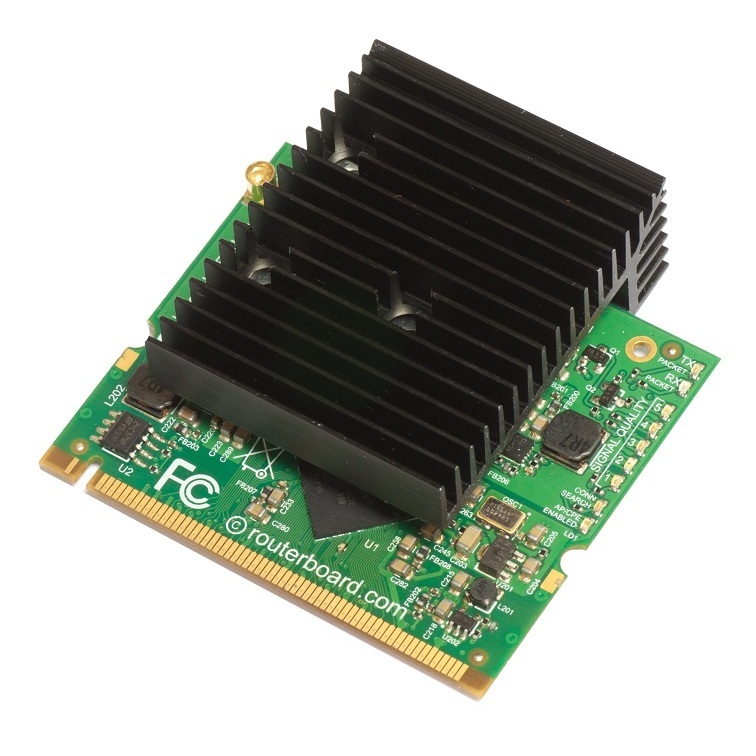 The new 2GHz super high power wireless card for long range links and powerful access points. This is the professional choice for reaching the last mile. 1.6W transmit power will give you the ability to reach even further than before. Up to 125Mbit throughput is possible with this device! The card features built-in LED indicators for wireless mode, connection status (connected, searching, disabled), TX and RX activity and wireless signal strength - just looking at the card will help with installation and alignment. The card comes with a preinstalled industrial grade heatsink, one MMCX connector and nine LED indicator lights.